An outdoor kitchen's ideal for those who prefer to entertain outside - and it's a great complement to an outdoor room. Image by ASKO. The days of the old Aussie barbecue in the backyard have changed dramatically. With the rise of outdoor rooms, elaborate al fresco areas and reality cooking shows, gourmet meals are now prepared and served in outdoor kitchens. In these areas, landscaping replaces interior design, and homeowners are opting to make the most of our fantastic climates with beautiful outdoor entertaining area. An outdoor kitchen is just that – a kitchen built in an outdoor living area. Outdoor kitchens might include anything from permanent cupboards, bench spaces, BBQs, sinks and bar fridges, all the way down to ovens, stove tops, rangehoods, wok burners, dishwashers, beer on tap, designer lighting, heating and even coffee machines. Outdoor kitchens should be designed in sheltered areas to keep them clean and dry, but will still need to make use of weatherproofed materials and fixtures that are designed to be used outdoors. Regular, unprotected particleboard cabinetry will very quickly fail at the first sign of exposure to weather – as will any electrical appliances designed for indoor use. The most sensible places for outdoor kitchens are within the patio, deck or pool area of your backyard. These areas are normally built with easy access to the house, and tie in to existing utilities like gas, electrical and plumbing lines. Outdoor kitchens are often built against a back wall of the house to allow for easy access to utility lines. Building without easy access to these utilities may mean that you have to install extra lines - and this can send your costs skyrocketing. Serious outdoor kitchens normally require a gas line to the cooking station, and a sink waste to the sewer, as well as roof sheeting and guttering. Some people are happy to use LPG gas bottles, but it’s much more convenient to use your household natural gas supply if you’re able. 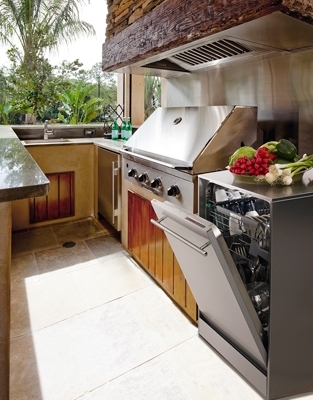 Appliances designed for outdoor kitchens are often manufactured to take a direct input from the household natural gas supply. Ideally, you should plan for your outdoor kitchen before the rest of the house is built, so that you can ensure that the pipes are run before the concrete slabs and paving and garden have been put in. In many cases nowadays, people are planning ahead for the possibility that they might like an outdoor kitchen even if their original design doesn’t include one. Many people are opting for a live, capped off gas outlet installed outside for potential use in future. At the time of building he house, the cost to install an outdoor gas connection is only a few hundred dollars – which would easily be recouped in the savings on LPG bottles. All plumbing needs to be done by licensed, qualified plumbers and gasfitters. Electrical appliances (including lighting) installed outdoors need to meet Australian regulations, and must be properly waterproofed to a rating of at least IP67. Only appliances that are designed specifically for the purpose should be installed in outdoor kitchens. Cabling will need to be properly PVC insulated, and housed in PVC conduits to protect the shielding from being degraded by exposure to water. 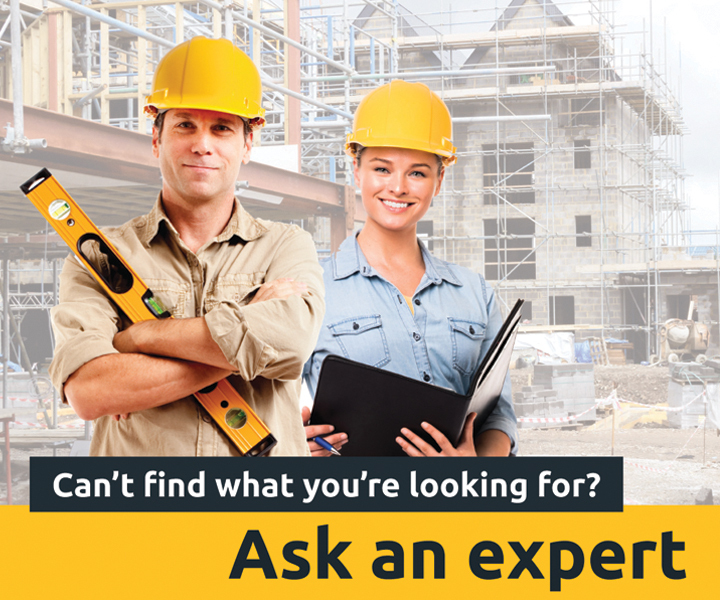 All electrical work and installation needs to be carried out by a licensed electrician. As with any kitchen project, your best bet by far is to consult a designer or builder who specialises in outdoor kitchen design. Having said that, below are a few design considerations you’ll need to take into account when considering how your outdoor kitchen might look. Your outdoor kitchen is best placed where there is the most foot traffic and close to the alfresco area of the home. Cabinets must be fully waterproofed. Another option is to buy stainless steel faces to match the grilling area. Proper flooring is a must. Avoid slippery or slick floor surfaces such as marble. Make sure your space is functional for cooking, entertaining, and relaxing. Decide on a location, and then determine how the entertaining, living, and cooking spaces will be arranged. Outdoor lighting design is just as important as indoor lighting. Lounge and dining areas should have adjustable lighting to create ambience, and cooking and other major activity areas should have effective, well positioned task lighting that doesn’t cast inconvenient shadows. Pathways should also be well-lit. Use only durable materials: weatherproof, heat resistant, and easy to clean. Rot resistant wood, stainless steel and stone are ideal. Materials may get hot in direct sunlight. Need ideas? Take a look through our excellent kitchen ideas gallery. Wow... It's is an amazing styling of Outdoor Kitchen!